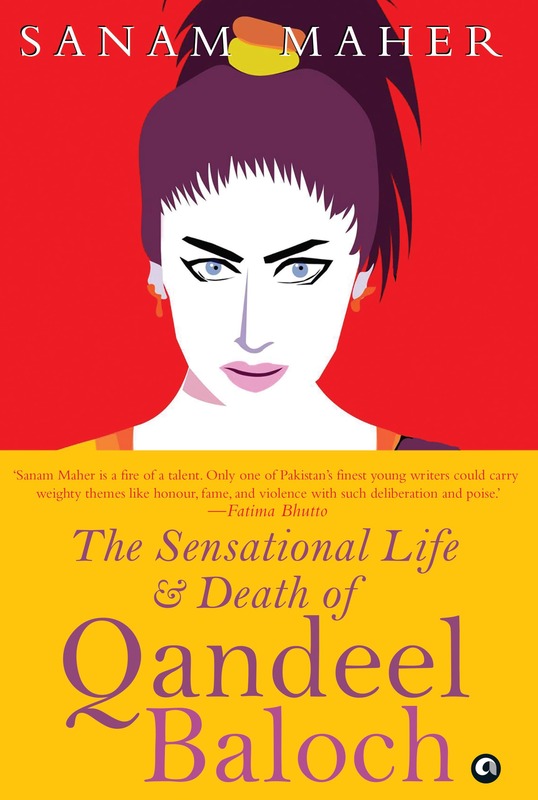 This is the conclusion of a four-part interview with Sanam Maher, author of The Sensational Life & Death of Qandeel Baloch, a biographical account of the social media star, who was murdered by her brother in 2016. 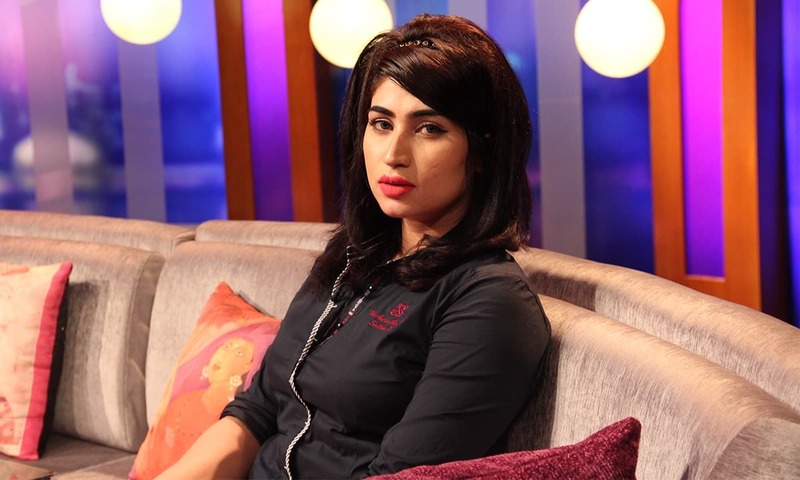 Here, Maher discusses the media’s role in influencing the audience’s perception of Qandeel, how concerns for her safety and security were overlooked and the ethics of interviewing those who knew her. The interview has been edited for clarity. Catch up with parts one, two and three. The first chapter opens with Adil Nizami, who is looking to break the story of Qandeel’s murder, and the closing chapter opens with Malik Azam (another journalist) recounting how he revealed Qandeel’s identity to the public. Throughout the text and implicit in the title itself, you allude to the media’s role and complicity in sensationalising Qandeel. How do you implicate yourself in this process because you’ve received blowback from other women saying, ‘aap kiun likh rahi hain iskay upper’ [Why are you writing about her? ], or that there’s no need to ‘uchaalofy’ [toss about] her name further. How did you, as a journalist, write about this subject? Their inclusion (Adil Nizami and Malik Azam) is partly because I am a part of this system and I have been seeing how it works. There was a fascination with someone who was in the media constantly for what she did and I wondered, how are we telling her story and getting the most utility? How are we using her to further our interests as the media? Adil and Malik’s stories helped to unpack that. I was also fed up with the media being surprised when something terrible like this happens. When we think of horrible moments that have happened, for example, when Salman Taseer was shot; why were we taken by surprise when this occurred? 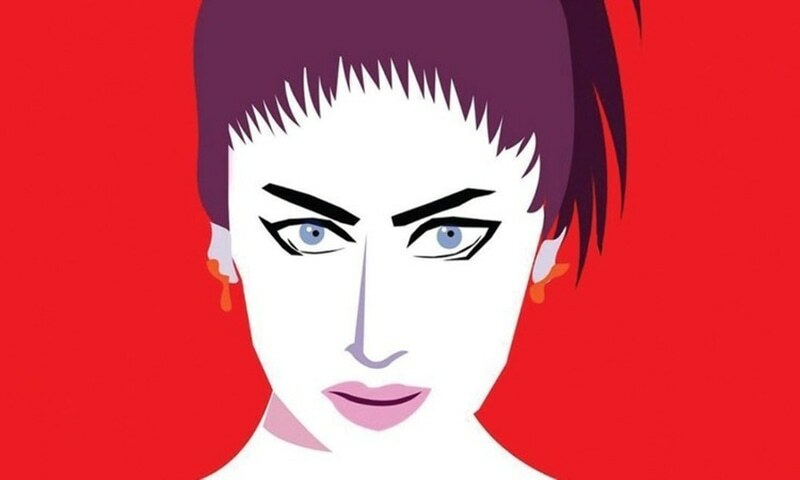 When Qandeel was murdered, I began to look into her life: the things that happened to her, the ways she was interviewed, and the questions that people were asking. People with massive platforms were interviewing her and it wasn’t just people who were watching these interviews as they were being broadcast, but those interviews get picked up and reshared on multiple platforms. There are loads of people accessing the way you're talking to this woman and the questions you're asking her, along with how you frame and present her. When she was on Mubashir Lucman’s show, they insisted — even though her clothes were not revealing — on placing this little black box where her cleavage would be if she had any showing. The black box that they’ve placed is meant to insinuate all kinds of things to the audience, and at one point during the interview, Lucman says, 'Qandeel ka camera band karein, jab tak yeh apni shirt ko seedhi nahin karteen unka camera off rakhain' [Turn off Qandeel’s camera, keep her camera off until she adjusts her shirt]. She’s wearing a black blazer with a tank top underneath. It’s not a low-cut tank top and she doesn’t even have a hint of cleavage showing. They're already influencing the audience’s perception of her. Absolutely, and then creating this perception of ‘we knew she would dress in this way, hamein pata tha yeh iss tarah ki larki hai’ [We knew she’s that kind of girl]. But when you look at how she gets murdered: why did everyone turn around and why were we so surprised by it? Why did it take us by shock when during one of her last interviews, she mentioned security concerns to this man who does this talk show; a Facebook Live type of show where he gets callers. I'm forgetting his name but he had her on, and one guy called in and said, ‘Qandeel aap ne apna itna naam bana liya hai’. You're so popular so why don’t you do something good for Pakistan? She replied saying she has a lot of problems right now, and she specifically said ‘meray apnay bhai mujhay maarnay ki koshish kar rahay hain’ [My own brothers are trying to kill me]. The host doesn’t say anything, the caller doesn’t say anything, and the next question the caller after him asks is, ‘when you're done with all of this, will you do something positive for Pakistan?’ and she said, ‘I would love to’. Because, like you said earlier, they routinely dismissed her concerns about security. Absolutely right, but we need to look at how a person is framed as deviant. During the interview with Raja Matloob, he keeps saying ‘agar aapkay bhai aapki video dekhtay aapkay father aapki video dekhtay’ [If your brothers watch your videos, or your father watches your videos] and you are creating a recipe for disaster. When you go back and look at the comments she’s getting on Facebook or Twitter, people were saying, ‘Oh your father must be a pimp and he doesn’t have shame and there’s no honour in your family’. Basically goading the family into doing something unseemly. You’re creating the persona of a woman who is ‘dishonourable’ and who doesn’t deserve to be treated with sympathy and respect when you're interviewing her. When you have her on your show, she’s just fodder for entertainment and not a real person. As if there are no real consequences for the ways in which you're talking to her and treating her. That’s something I wanted to look into further and also give people a sense of what happens when you present people in certain ways; what can actually happen and why journalists need to be careful. For example, when Salman Taseer was on Meher Bukhari’s show, he was framed in a way that put him in a very dangerous place. In a very precarious position and inciting violence against him essentially. Since I’m a part of the media, I started researching this in July 2017, then I went to Multan and started doing the interviews by the end of September. During that entire time, anything that had been written about Qandeel and had been put out about her; any interviews or documentaries, I went through all of them. I went there thinking I had a sense of who this person was and what her life was like, the main people that I needed to speak with and exactly how they fit into this narrative. Within the first week of doing these interviews, everything that I had learned completely went up in the air and I thought, why am I getting a completely different side of the story? Why is it not fitting into this narrative? And I realised that I had completely bought into the story about Qandeel. For example, something very simple like Safdar Shah (the lawyer claiming to represent Qandeel’s family) — he had been mentioned as the benevolent guy who is helping the family and nobody had mentioned that he is actually seen as their pir. How did he get involved? What is he actually doing and how does he speak for these people? Nobody was mentioning that. I asked a couple of people who made documentaries or TV bits about Qandeel about Safdar Shah and they said they couldn’t add all of that in because there’s a time constraint, and they don’t have the time to explore all these relationships and give the audience too much to consume. How can it be that as a journalist, I bought into that story so completely? You can’t blame the audience for doing the same thing. So I was interested in unpacking that, but also really questioning — something I hugely question — was my privilege in being able to tell this story. I’m someone who got to leave my home and I have the money to travel to Qandeel’s village and speak to men in certain ways: talk back to them, question them about things, and then leave that place. I’m writing in English, for an audience that’s outside of this country. I have a voice online, I have a voice with this book, and I have editors and a whole team behind me that actually supports the work. Qandeel didn’t have any of those things. She didn’t have access to any of that. She had people telling her story in certain ways when she was alive and it was for their benefit. In fact, it was really sad when you mention the Sohail Warraich interview in the book because there were no friends or family that she could introduce him to. Partly because she probably felt ashamed of her own family, but also ‘nahin thay loug’ [She had nobody]. The life she was projecting online was in a sense artificial. Absolutely. She did not want to have them in her home and did not want to introduce journalists to any friends or family. The one friend that she did ask for the BBC interview said, 'I don’t want to be on TV and I don’t want do this'. It’s definitely sad. But coming to the point of ghairat [honour] that’s been brought up because her murder has been categorised as an ‘honour killing’. The term has spawned a contentious discourse between all kinds of people and some feminists, not all, would argue the term is Orientalist and exceptionalises violence against women in certain parts of the world. Aside from the fact that there’s a lot to be said about honour killings outside of Qandeel’s, what do you make of this view, and was it a deliberate choice to not focus on the discourse around honour killings in order to tell Qandeel’s story? Yes, you answered the first part of the question for me. As for the second part of your question, a huge concern of mine was that if there was any part of this text that I was not going to be able to do exactly the way I wanted to, especially with the focus the rest of the people in the book get, then I wouldn’t want to touch upon any subject and do a half-baked job. I quite simply ran out of time. Towards the end of the research process, I had 125 interviews. I started writing the book in April 2017 and I had to get it done by July. I went a month over my deadline and completed the book by August. Additionally, the people I wanted to speak to about honour killings weren’t available, leaving aside the fact that I had a year to do this and I had already gone overtime. I didn’t want to include it just for the sake of ticking off boxes because this is something that has been worked on for so long by people who have their heart in the right place; by all these activists, and there is no way I could include a chapter for the sake of it. In terms of honour killings being seen as a problem specific to our part of the world, I think that is something that keeps coming up. With a few interviews I’ve done with people outside of South Asia, they keep mentioning it as — actually a couple of Indian places as well — they mention it as a ‘Muslim problem’. They put it in very religious terms. There is a tendency to see is as that but, of course, it happens all over the world without religion even being a part of the picture; it’s a cultural problem. I keep saying women but honour killings can happen with men as well, but it’s largely women who suffer. Absolutely. It’s a matter of people believing that they have a right to determine how someone needs to behave, and when they step out of line they’ve decided that that needs to be punished. It can’t go unchecked, and if it does go unchecked, then oh God, what horror would take over our life. When you say it’s cultural, I wonder if it’s more of a patriarchal problem. Last question and then I will stop eating your head! You're not eating my head! One of the motifs in the book is of unreliable narration and that no authoritative version of any story exists. This manifests in a variety of ways, even in Qandeel’s parents’ reaction, and I don’t wish to discredit their version of events because obviously they’ve suffered the loss of their daughter and have also had to contend with the fact that their son is in jail. These are people who are traumatised and not in the best of circumstances. What role did they have in contributing to the text? Are they aware of its popularity, and what do they really think about it? I haven’t had that conversation with them after the interviews got done and I didn’t continue to update them on the book and what was going on; that was something I couldn’t do because it would have been really difficult to continue to keep updating them. Obviously, their daughter is no longer alive and they're in a very difficult position. There’s a lot of things you need to consider when you're talking about the fact that their daughter has died, even remembering her or how that grief plays out. They are put in a position where their grief is judged by the people around them. People will say your daughter was this shameless woman and ‘acha hai ke mar gai hai’ [She’s better off dead], and you’re shameless for grieving. There are a lot of layers to this situation. They live in a village where their entire family and community lives. If I had continued to make them a part of this story, given how I was intending to bring other people into the narrative to tell her story, it would’ve been very difficult and you cannot do it without bringing bias into it. I don’t know if they know [the book] is doing well or not and I’ve honestly not had that conversation with them. Something that I get asked a lot is, why aren’t you giving all the money that you're making from the book to Qandeel’s parents? First of all, there is no 'all of the money.' I’m not someone who has a big name and this book is not getting some giant advance. To be perfectly honest, I ended up spending a lot of my own money, and borrowing money for the expenses of travelling, getting a fixer, a translator and so on. I think people misunderstand how book deals or royalties function. Oh, completely. There’s this sense of a Harry Potter standard for everybody and I wish it were that lucrative, but it’s not and you don’t get into this for the sake of making money. Beyond that, my issue is that I cannot pay you for an interview and I can’t pay you to be involved. And [then there are] the additional issues of figuring out where the money is going and who is involved, if I'm not there to keep track of it. Could you elaborate on this further? I think this is something people don’t quite understand. As a journalist, what is the ethical reason for not being able to pay someone? I think it would be helpful if you could clarify that. I was trying to interview Taher Shah for the book — specifically the Arshad chapter — and his manager asked for payment first. I can’t pay you for an interview because ethically it puts me in a very grey zone because if you are giving me information in exchange for monetary compensation, then you can tell me anything, and unless I have solid ways to verify that information, it puts me in a very tricky position. I can’t promise you anything in exchange for information. I can’t even tell you that if the book sells well, then people are going to know about your daughter and will think kindly of her. I can’t tell you that if the book sells well, and I earn money from it that I will give you some money and you can make a better life for yourself. I cannot give you anything as incentive for telling me the truth about a certain person or your own life or whatever is happening. If you choose to tell me of your own free will without being given something in exchange first, then that’s what journalism is. It could set off a chain of events where people would be able to say, ‘acha lekin aap ne tou unko x amount diya tha aur mujhay aap ne utna nahin diya’ [‘You paid x-amount to someone else, but you haven’t paid me as much’]. Oh, but that is happening, absolutely, that’s happening. It happened with a number of people for this book, and is something that made me really angry. A lot of people had been circling the Qandeel story and I think there were people who at different points promised people money or something in exchange for access, or showing them certain things like her personal belongings. It just really muddies the water for who’s coming next because you set up this expectation of compensation that this is what you will get in exchange for telling Qandeel’s story. I can’t be a part of a system that uses a dead woman’s story to help someone else earn money in that way. It’s very, very problematic in those ways. It’s ethically grey in all kinds of ways. I mean for me it’s not even grey; it’s a complete red zone and you just cannot do that. Hopefully, that explains the matter to people better. Let’s say, I said, “Tell me everything there is to know about your daughter, because then the book will do really well because people want to know everything about her, and that means you can earn even more money from it” — you could make up whatever you want about her childhood, her life and your relationship with her. Moreover, if I am someone who is already promising people money, then I am certainly not the kind of person who is going to go and do the legwork of verifying all of that information. So hopefully that makes it clear for people who ask me why I can’t pay her parents. I think that’s a fair answer. The producers want to show her working out, dancing, and partying with her friends, but there are no friends or family she wants them to meet. In the end, someone invites Sohail (Warraich) to a dinner to which Qandeel and the whole crew tag along. In the episode, it looks as if it is a dinner her friends have thrown for her. When the show airs, some of these people are annoyed with Sohail. They did not want to be seen - much less on national television - with a woman like Qandeel. I suggest going behind the sensation of Edhi Sahab instead. Do good to humanity instead of showbiz.